A festive celebration turns into a fight for survival when Mara and her clan come under attack . 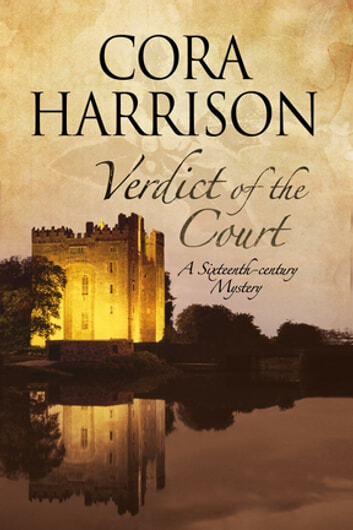 . .
Christmas 1519 is the twentieth anniversary of King Turlough Donn’s reign over the three kingdoms of Thomond, Corcomroe and Burren, so Mara and her scholars are spending the festive period in her husband’s principal court, the castle of Bunratty in Thomond. However, in the midst of celebrations, the Brehon of Thomond is found dead, slumped across a table with a knife protruding from below his shoulder blade, while all around him Turlough’s relations and friends dance and feast. 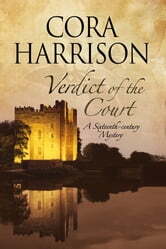 Mara’s difficult task in probing the motives of the multiple suspects, made worse by her suspicion that someone near and dear to her is involved, is interrupted by a dramatic attack on the castle. Turlough’s cannon has been sabotaged and now a trebuchet batters the castle with huge rocks and the lives of all are at risk. Has this treachery and betrayal anything to do the mysterious death of the Brehon, but most importantly how will Mara’s husband answer the call for surrender . . .? Another excellent book in this series _ looking forward to the next one in this series of the Burden mysteries! !